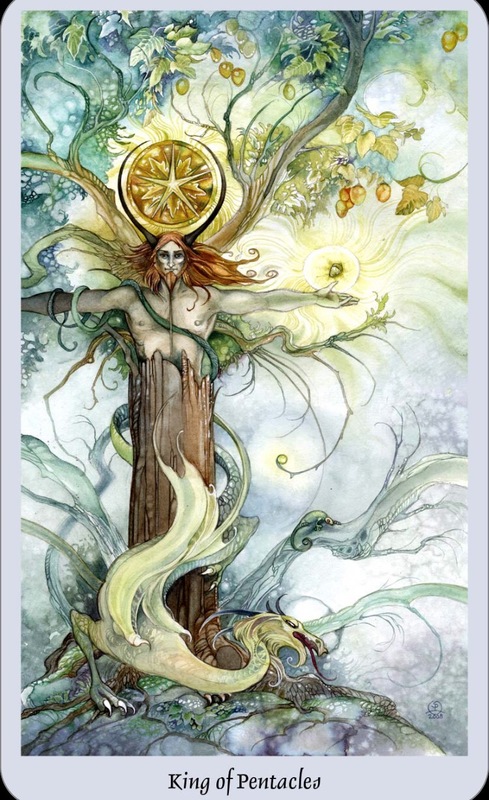 Card: Ten of Winter – from the Fairy Tarot Cards by Doreen Virtue and Radleigh Valentine. Message from the Faeries: As winter approaches, the seasonal changes are going to be reflected outwardly and inwardly. As some creatures and plants are dying, so are parts of yourself. Don’t be afraid of death and changes, it’s all very natural and healthy. Maybe some aspect of your life is in great need of change. Is it time to end a relationship? Is it time to move away? Is it time to quit your job? Maybe it’s something more profound. Maybe it’s time to change your way of thinking, or maybe it’s time to open your heart and mind to new possibilities. Whatever changes come your way, we hope you embrace them with ease and grace. 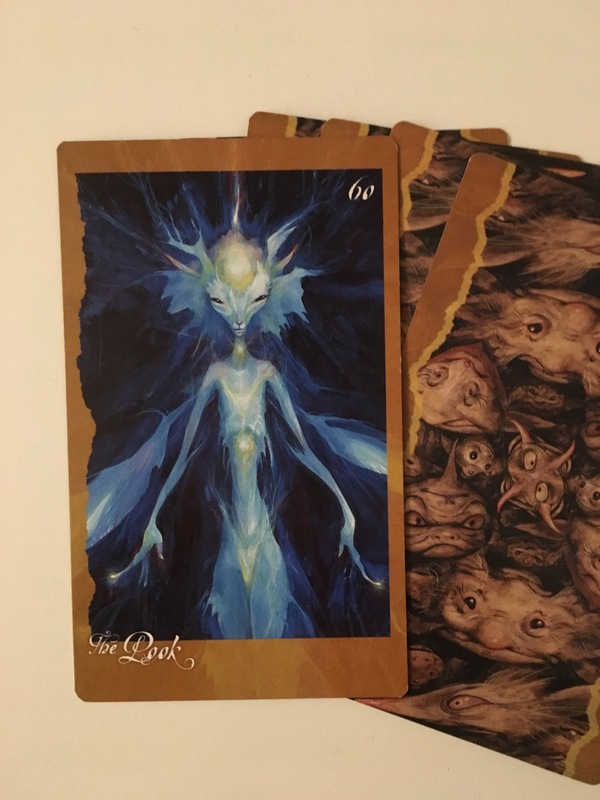 Card: 60 The Pook – from The Faeries’ Oracle by Brian Froud and Jessica Macbeth. Message from the Faeries: As you movie further into October, the veils between realms is getting thinner and thinner. You may start to notice things around you that you didn’t before. It might be events or situations in your life that you begin to see in a new light. The Pook can be a tricky fellow. He can cause confusion and make you question reality. He’s hanging around right now to assist you in seeing through the veil. Warning: it might turn your world upside down. There might be a little chaos in your life in the next week or two. This isn’t a bad thing. It just means that your truth and reality will be changing. Would rather see things for how they really are, or would like to keep up the charade? It’s ultimately up to you at the end of the day, but you might find it difficult to resist the Pook. He can be quite persuasive. It might be worth the adventure to discover your truth, even it means having to change your way of looking at the world. We strongly encourage having an open mind this week. If you resist the truth, it will likely rob you of an opportunity to change, shift or transform. 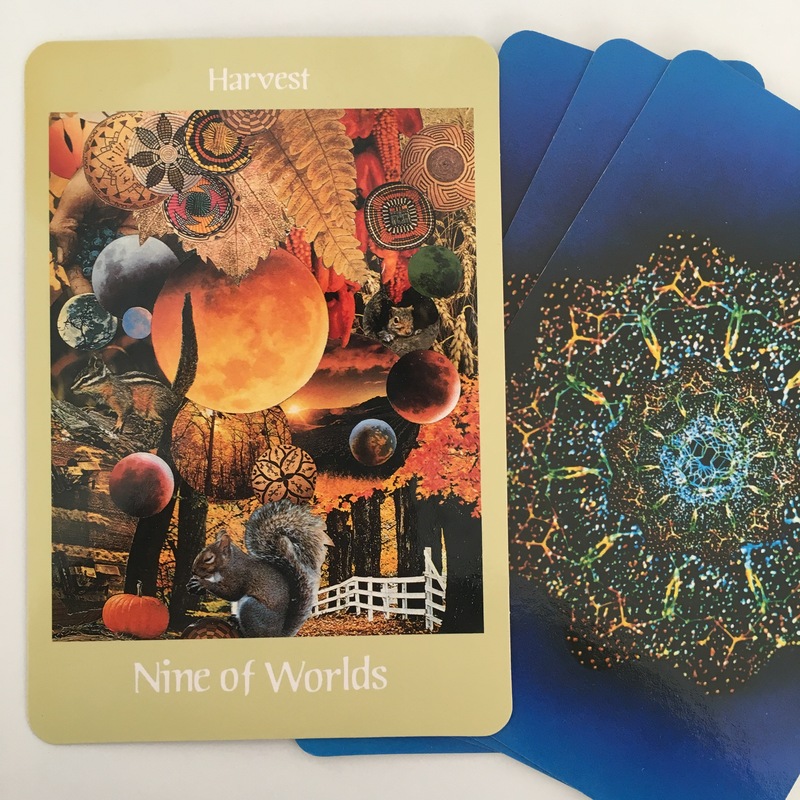 Card: Nine of Worlds – from the Voyager Tarot by James Wanless, Ph.D.
“Harvest completions provide you the material wherewithal and insurance – like nuts gathered by the squirrel – for inactive periods and winters of austerity. Think ahead. 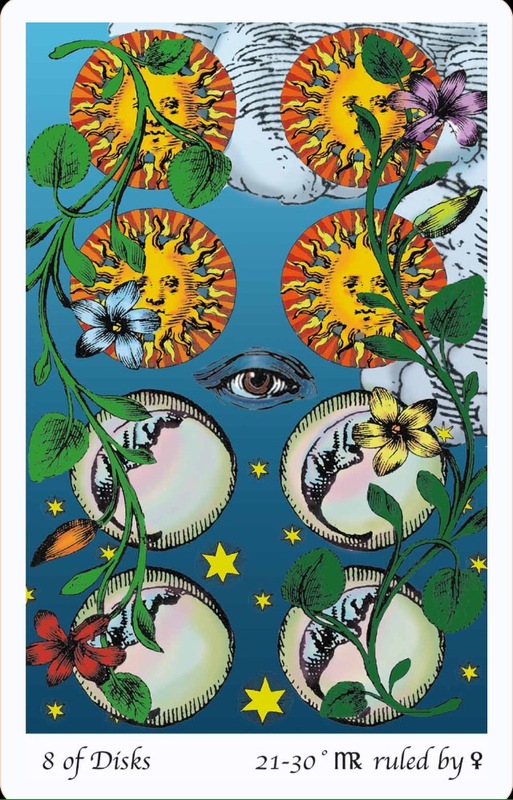 Message from the Faeries: As you can see in this cards the planets, the Sun and the Moon are going to have a huge impact on the goings on in the world and your life right now. There is some powerful celestial activity that’s going to herald in some big changes for you on both a microcosmic and a macrocosmic level. The eclipse and New Moon at the start of the week are the catalyst for the big changes coming your way. To make this transitional time in your life go smoother, it would be a really great idea for you to spend some time at the beginning of the week in contemplation and reflection. What are the blocks in your life at the moment? What do you need to let go of? What is no longer serving you? It’s time to let go. Do it now. The next month or so is going to be really intense. You are going to see and hear some pretty wild and crazy things – some good and some bad – and it’s important for you to stay focused. Stay focused on being positive. Keep your head held up high. Keep your heart open. Keep an open mind. There are going to be some surprises along the way. The best attitude to cultivate at this time is to be optimistic and easy going. If you fight the changes that are coming, you will most certainly have a difficult time. It’s important to go with the flow. The Harvest is coming. Autumn is coming and you will soon start to feel it in your bones. Change is coming, so enjoy this amazing time of transformation. You’ll be truly amazed at where you find yourself in the next few months. We are very excited and we hope you are too. 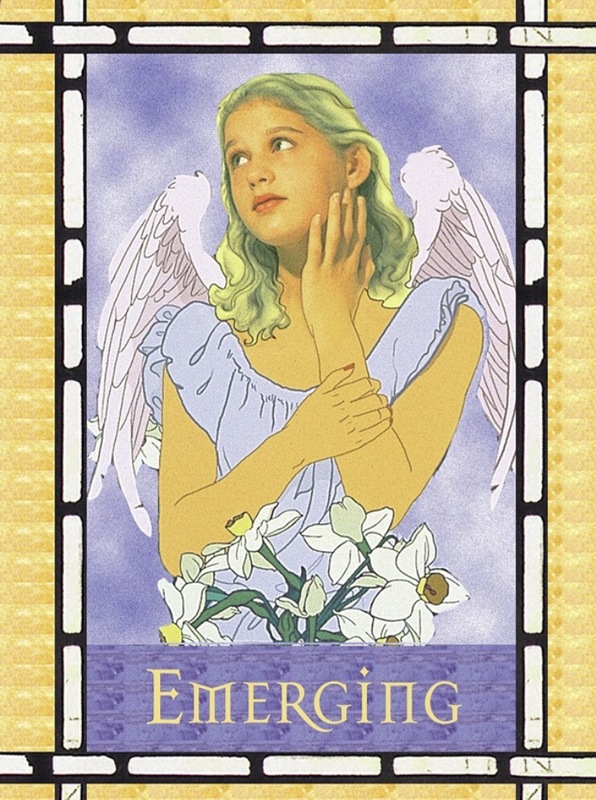 Card: Emerging – from the Healing with the Angels Oracle Cards by Doreen Virtue. Message from the Faeries: This week is a very magical week. There are some very intense forces that have moved from different directions over the past while and will merge this week, forcing you to move into this magnificent unfolding of self. This self-transformation has been a long time in the making. It is the culmination of all of your own hard work, and the assistance of many other beings and spirits. You are now emerging into this new version of yourself. It’s not some big dramatic change, in fact this change has been happening rather smoothly over a long period of time, but this is the moment where you feel everything inside of you, and outside of you, click into place. This isn’t a phoenix out of the ashes moment in time for you, but rather it is more like that moment when you turned 21 and figured out that you really are an adult. It’s not something that happens all of a sudden – there is a long build up to that moment. This week is just like that. You will come to the realization of who you’ve become at this apex of time, and you will have a strong sense of where you are on your life’s journey. This moment of clarity is pivotal to you having a vision of what lies ahead for you next. You can move forward with much confidence and grace, knowing with all certainty that you are in the exact place where you are meant to be at this time. Most things in your life right now will move with very little effort, including yourself. You will feel reinvigorated and ready to move mountains. Card: Healing, Healed, Healer – from the Magical Messages from the Fairies Oracle Cards by Doreen Virtue. Message from the Faeries: Being in the middle of a healing, in the process of being healed, while performing the task of being a healer. Healing, healed and healer are not things that you do at different times. You are often doing all three at once. You don’t have to be healed to become a healer, and you can still be healing yourself while healing others. Truthfully, there is no real separation between the acts of healing, being healed or being a healer. This week you are definitely wearing all three hats. There is a massive healing energy that is surrounding the planet right now. There is always healing around you, but right now there are other beings who are visiting from far away that are hear to assist in some global healing. Not only are your ancient ancestor here to assist in healing right now, there are beings from other dimensions and universes who have come to help. Maybe this sounds a bit intense, but this sort of things happen from time to time. Why is all this healing energy happening right now? There are some major changes that are happening right now on your planet and there are some things that are lining up in the future that require all of you healers to be strong and ready, so that you can assist others, and so that you can take care of yourself. This healing that is happening is strong, powerful and life changing. It can be intense and might feel a little extreme, but this healing will aid you in your ongoing transformation. We sincerely wish that you all open your hearts to receive these healing energies this week. They will help you in ways that you could never imagine. Now is the time for miracles to take place. Now is the time for the unimaginable to happen. The only limitations are the ones that you create for yourself. While the future may feel a bit frightening, you really have nothing to fear. You have asked for assistance, and it has come in many shapes or forms to help you at this time. If you would like to have a personal Tarot Reading done by Erin, you can find out more here. 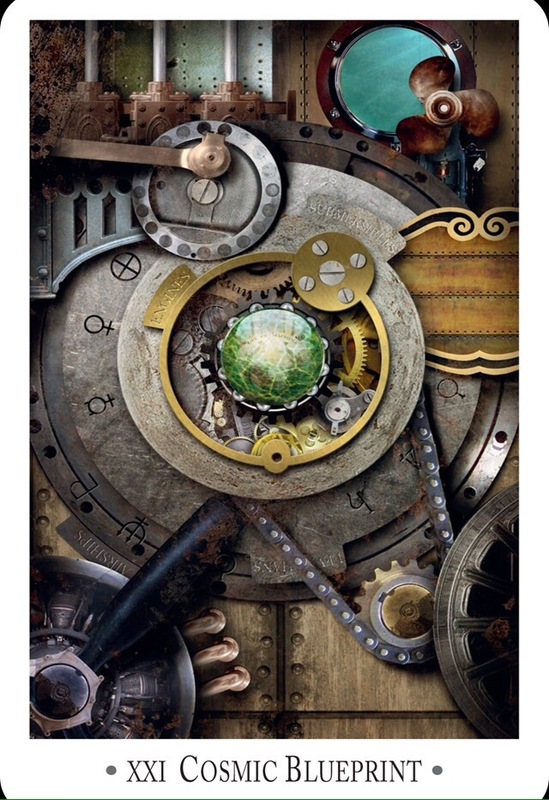 Card: XXI Cosmic Blueprint – from The Steampunk Tarot by John and Caitlin Matthews. Message from The Faeries: Some of you may have found this past to week to be a bit strange and perhaps a bit challenging. There were lots of intense energies in the build up to the full moon. Some of you probably experienced some sort of inner and/or outer conflict in the past couple of days. These challenges were presented to you so that you could be better equipped to deal with this coming week. We would like you to think about the Cosmic Blueprint. More specifically, your own cosmic blueprint. Before you came here, you set down and came up with a blueprint of the trajectory of your life – the people you were going to reunite with in this life and the places you wanted to revisit. Of course, nothing is ever written in stone, and you have been rewriting the blueprint since the day you were born, but there have been some key events that have occurred in your life where you felt somewhere deep inside your heart that you were in exact right place and the exact right time. These are keystone events in your life. Things have been rather intense this week because you are most likely about to reach another keystone moment in your life. Things are lining themselves up so that they can fall into place perfectly. These types of keystone events, as you know, can take on any type of form. It could be a new person you are about to meet. It could be a new job opportunity that will come your way. It could be a new location to live. We would like the gently remind you that keystone events aren’t always exciting or pleasant. It could also be the passing of a loved one. It could be receiving some news about your health. It could be a global catastrophe. Regardless of this upcoming keystone event, coming up in the near future, remember that whatever happens this event was written and approved by yourself. This event, whatever it may be, will result in the growth and enrichment of your soul. It will move your soul forward, in a big leap, along it’s eternal journey. This is no cause for sadness, it is a call for celebration. While it is important to look deeply into the events that have happened in the last week, we urge you to simply learn and move on. Don’t hold on to any bad feelings that have arisen for you lately. This week it is important to be in a more meditative state. Pay close attention to everything that happens to you this week. You will be observing the unfolding of your universal blueprint. It’s a script that you wrote just for yourself. How amazing is that? We hope that you are in awe of one of your greatest creations. Truthfully, it is a co-creation, and how beautiful is that? 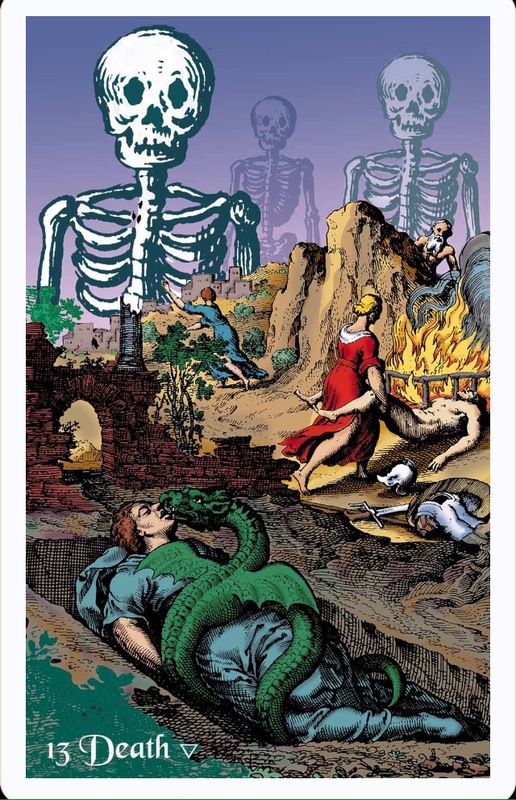 Card: 13 Death – from The Tarot of the Holy Light by Christine Payne-Towler. Message from The Faeries: This is the most perfect card for everyone this week! We couldn’t be more happy with this card. This week you all say goodbye to the year 2015. Think of this Death card as a symbol for the transformation that will happen for you in the next few days. It’s time to lay to rest all of the things from 2015 that are like a dead weight that you are carrying around. Imagine yourself burying all of these things that you don’t wish to carry anymore. All that you leave behind in 2015 will be transformed into new lessons and life experiences for 2016. The serpent that is wrapped around the corpse is the transforming kundalini energies. These energies can change and transform all living beings. We see that 2016 will be a year of great transformation. Do not be afraid of Death. Death is the great transformer. Let death transform all of the things that are no longer serving you in life. Let go and let death transform your life in beautiful and magical ways. Death is also a reminder that nothing in life is permanent. Neither you or the stars will live forever, at least not in the physical. Your spirit is the only thing that will endure. So, really, what are you holding on to? Why are you holding on? Nothing lasts forever, so stop trying to make things be what they aren’t. If you all lived life like it was your last day, what a wonderful world this would be, for you would truly understand how precious each moment is. Alas, most of you live you are going to last forever and take most your time for granted. As you say goodbye to 2015, think about what kind of year you want 2016 to be? Are you ready for change? Are you willing to do what it takes to transform your life? What are you going to do to make 2016 a year worth living? We wish for you that 2016 will be a year full of love, joy, abundance, good health and celebration.